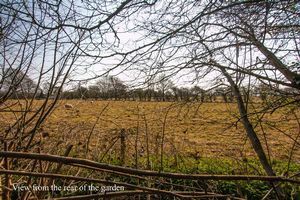 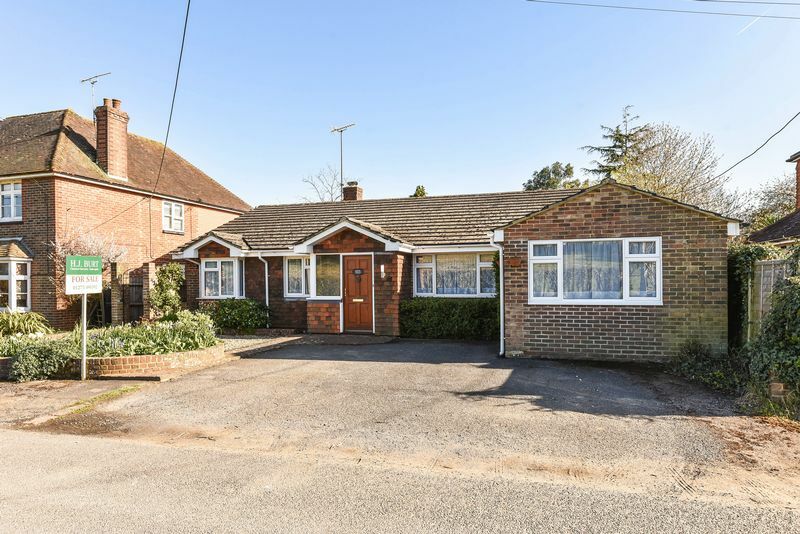 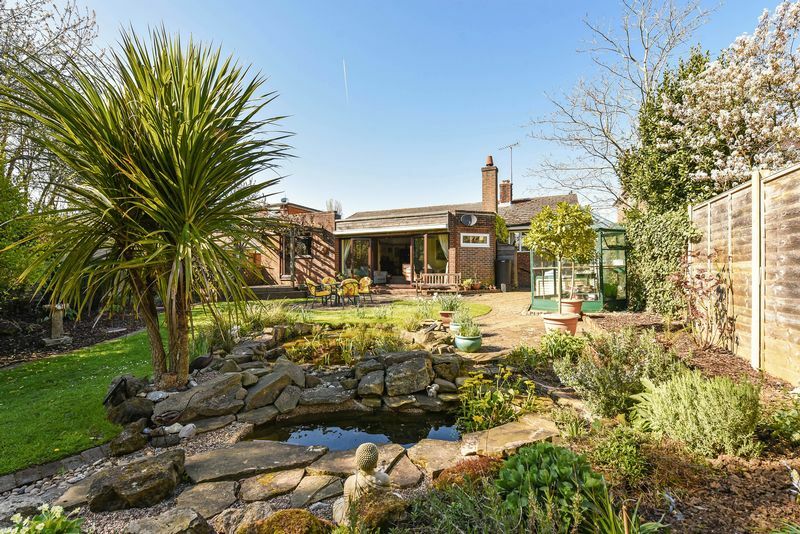 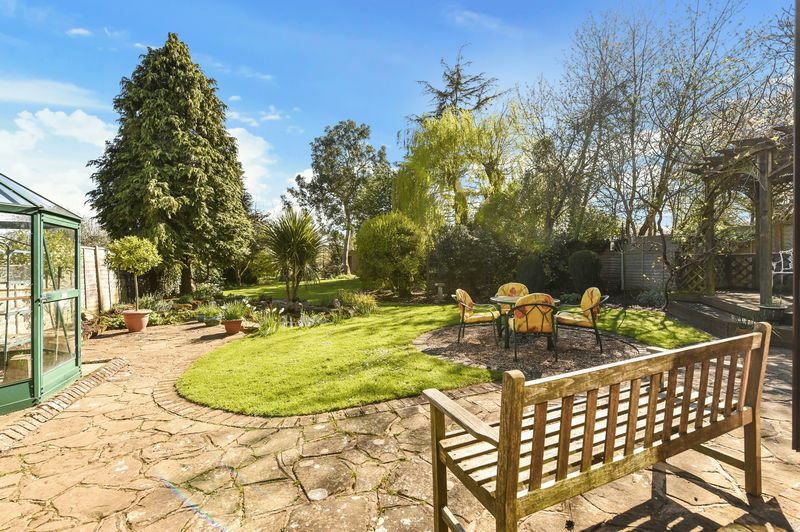 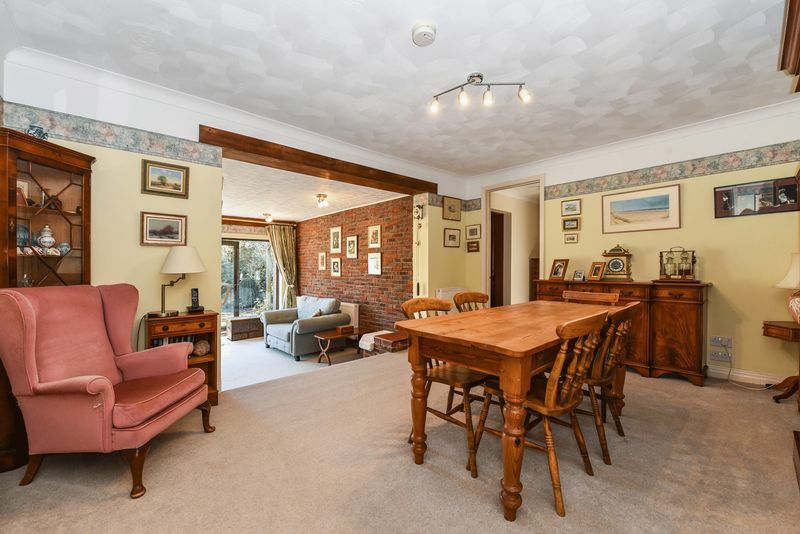 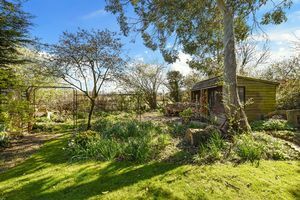 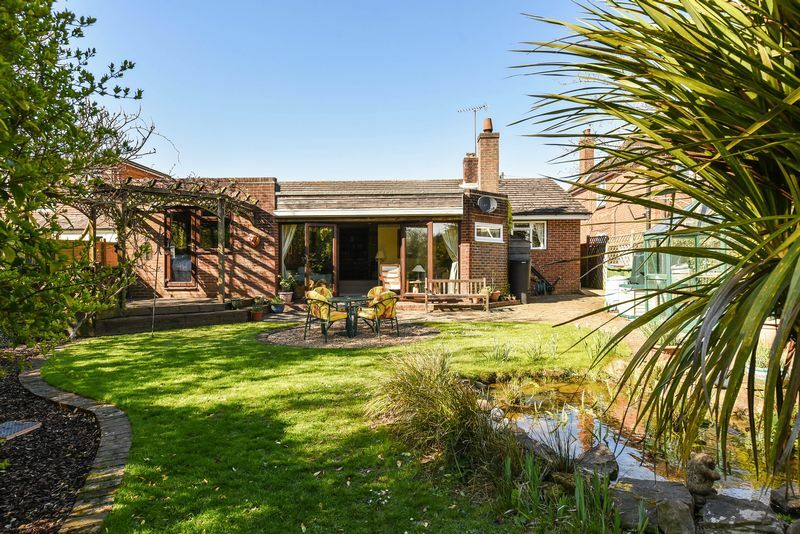 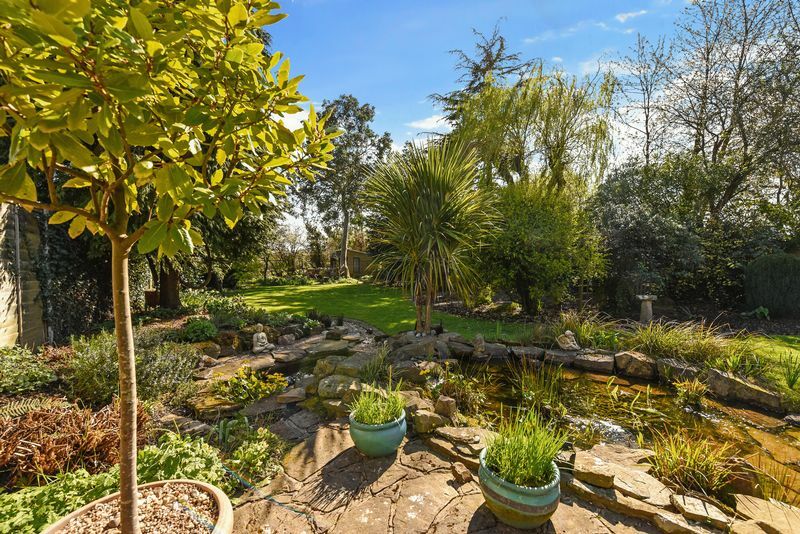 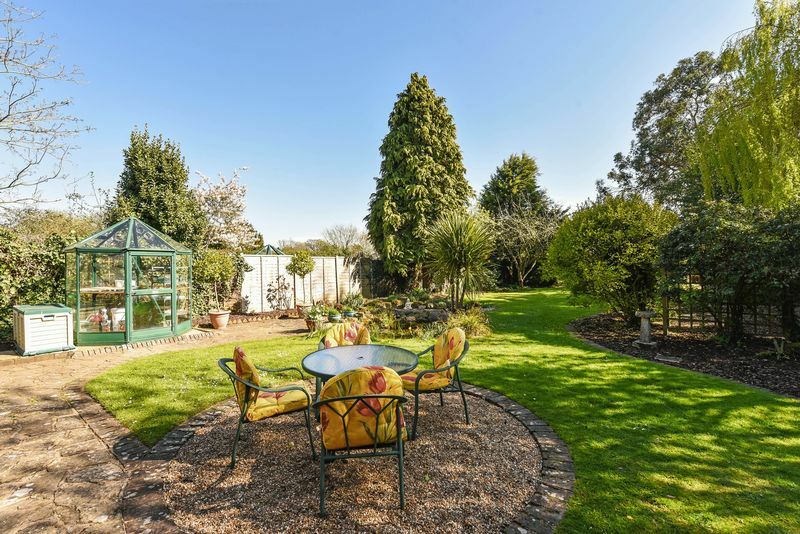 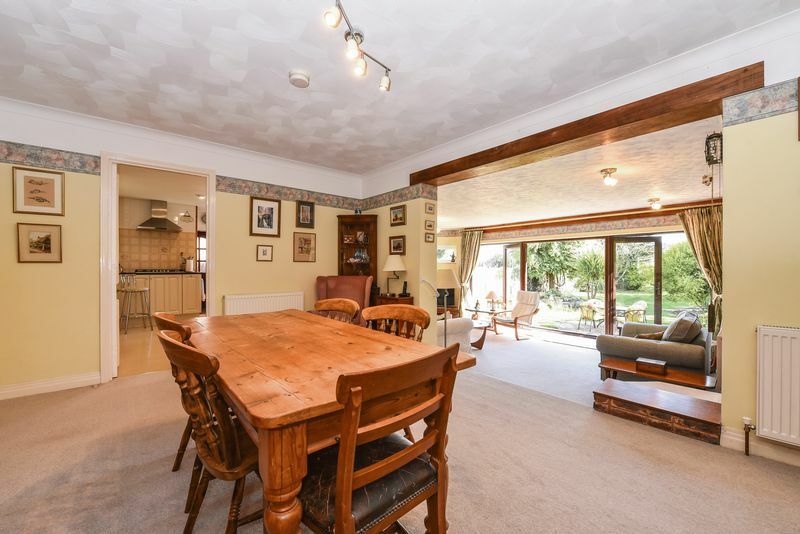 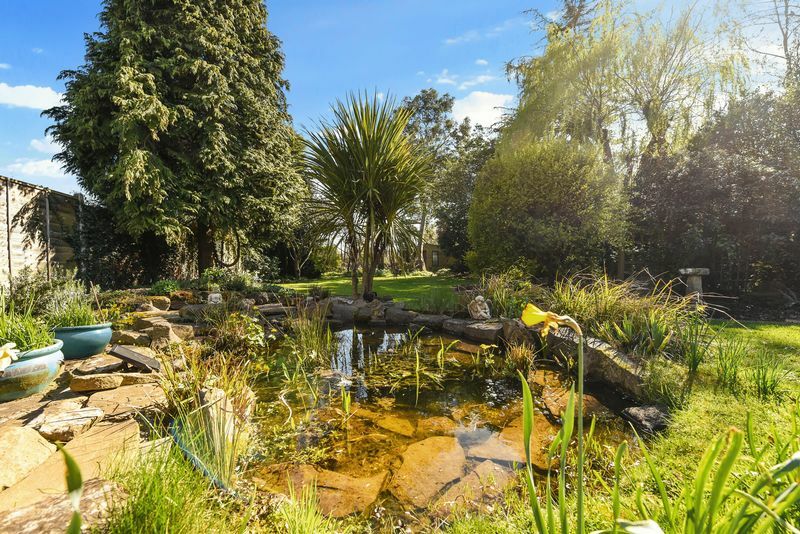 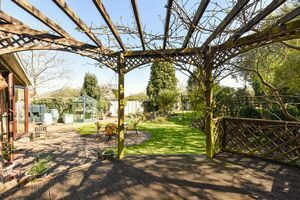 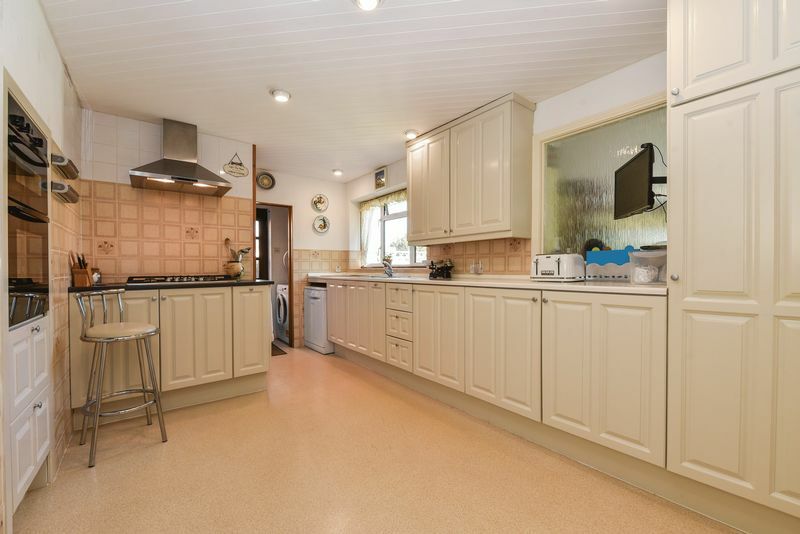 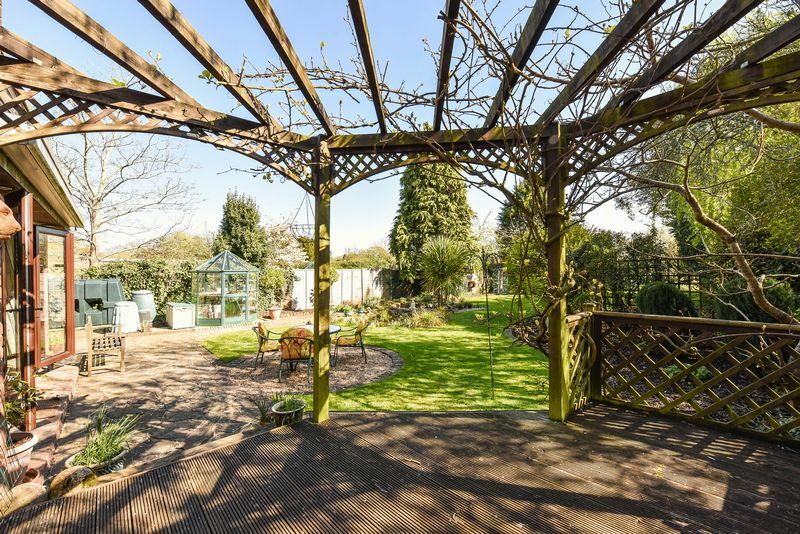 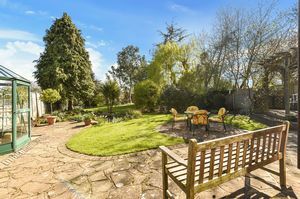 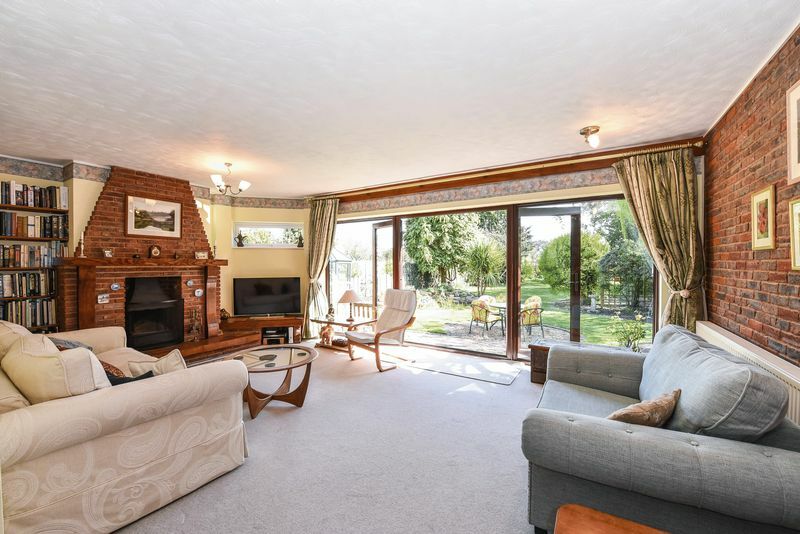 Pretty rear garden with a southerly aspect extending to around 120 ft.
A spacious detached bungalow situated in a semi-rural location on the edge of the village, with lovely mature gardens. 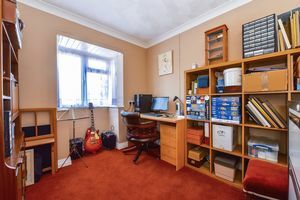 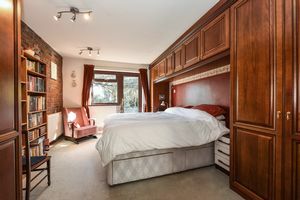 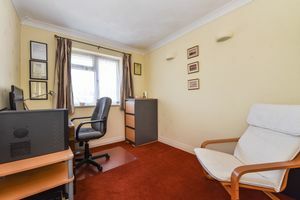 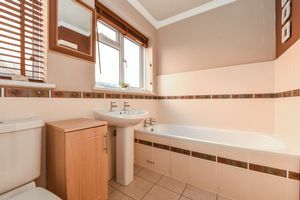 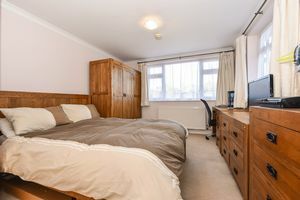 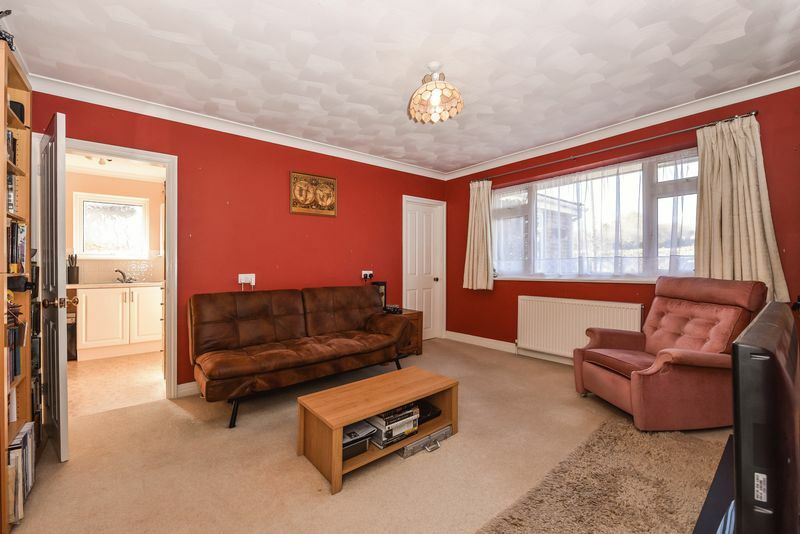 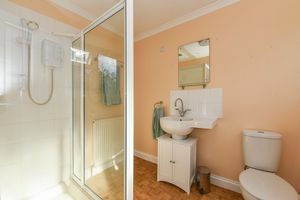 The property has extremely versatile accommodation that includes a suite of rooms that could be used by a dependent relative, a professional wishing to work from home or, alternatively, to provide a separate income. 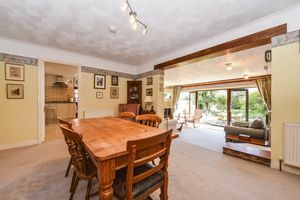 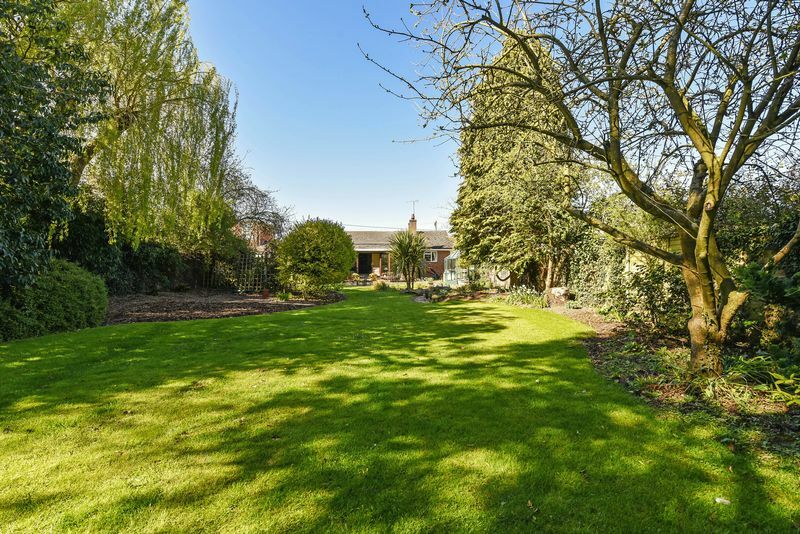 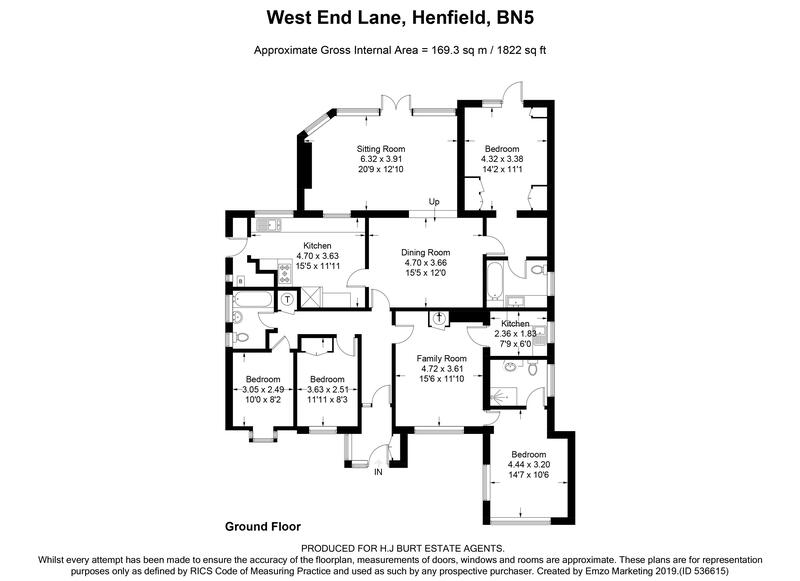 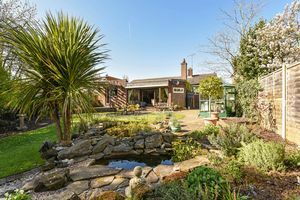 Overall, the property features four good size bedrooms and three reception rooms that include a lovely split-level dining room and sitting room with double glazed sliding patio doors leading to the pretty south facing rear gardens that measure approximately 120' in length. 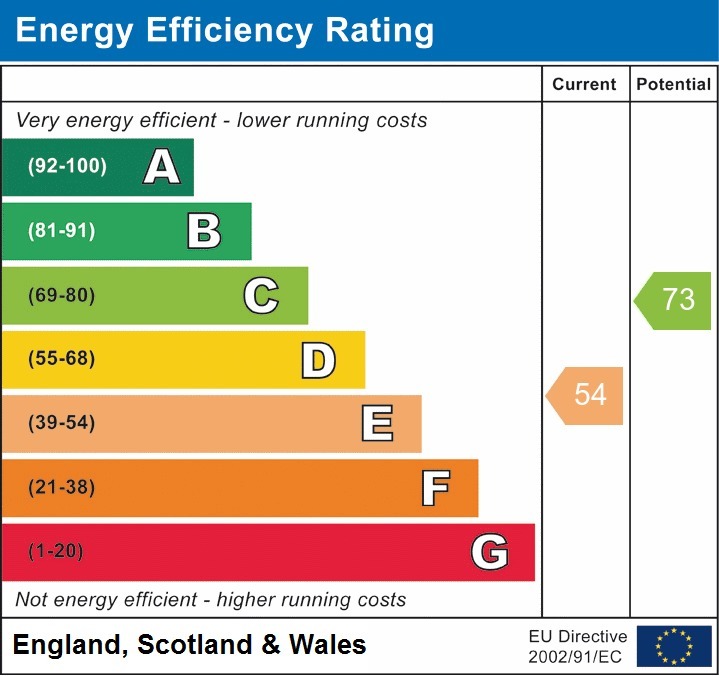 There is a private driveway at the front with ample parking for four or five cars, as well as double glazed windows throughout, oil central heating and a recently installed sewage treatment plant. 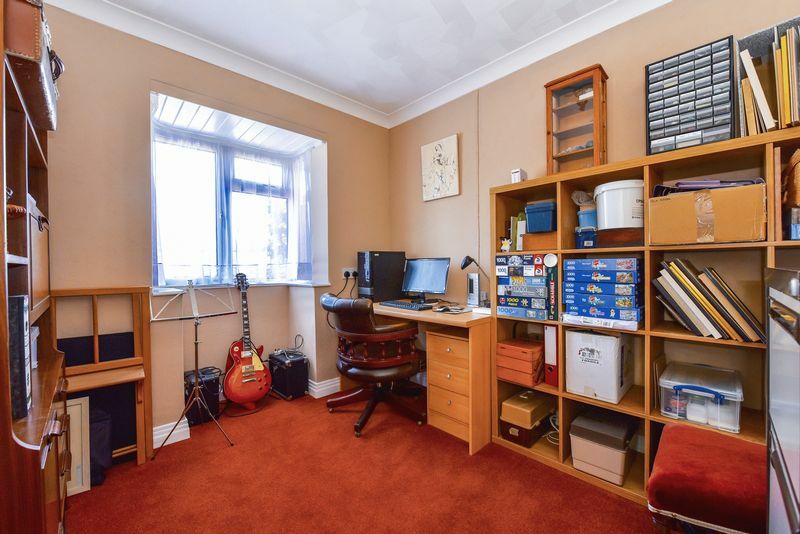 An internal inspection of this property is highly recommended.